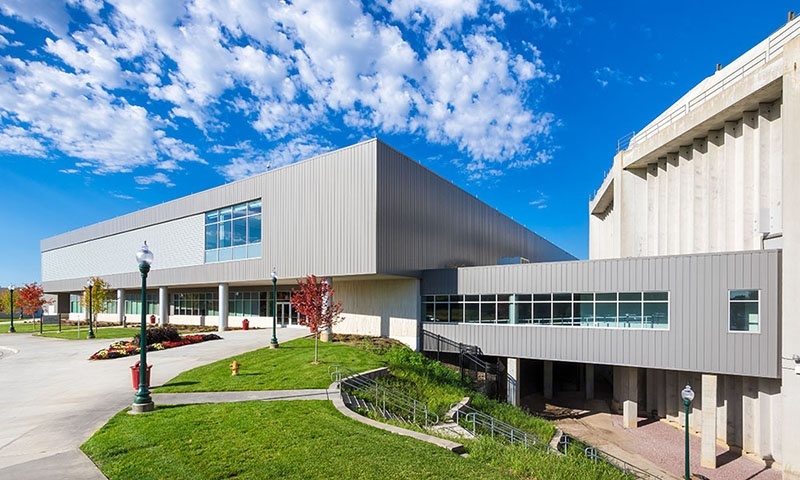 One of the biggest, most challenging, and rewarding projects for which Fiegen Construction was recently selected is the University of South Dakota’s Sanford Coyote Sports Center. Fiegen Construction provided construction management services for the $55 million, 185,000-square-foot basketball and volleyball arena addition to USD's existing Dakota Dome in Vermillion, South Dakota. 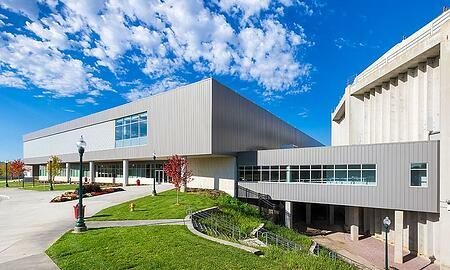 Inside the facility, you will find the University of South Dakota's Science, Health, and Research Lab. The lab is a centralized location for occupational therapy (OT), physical therapy (PT), Kinesiology and Sport Science (KSS), and Sports Medicine programs. There are collaborative spaces for the various programs, as well as cutting-edge classrooms, a laboratory, and clinical spaces. Fiegen Construction’s project superintendent for the Sports Center was Dennis Millar; the project manager was Jarrett Hallvin. This large project's architectural services were performed by Architecture Incorporated and Populous; structural engineering services from SEA, Inc. and Meyer, Borgman, Johnson; and civil engineering services from Sayre Associates. Unique challenges included the necessity to stabilize soils in advance of construction, a requirement aided by the addition of aggregate to correct subsoil conditions. And it was a red letter day (fitting since USD’s school colors are red and white) when the 200-foot steel span roof trusses over the main court in the complex were erected. For safety as well as ease of erection, the trusses were assembled on an adjacent flat roof and slid into place over the arena clear span. The project took nearly 20 months to complete—a major feat considering various construction challenges and the multiplicity of facilities, labs, offices, and related spaces required for the complex. Originally dubbed the “USD Sports Complex” when the project commenced, a name change was soon announced. Sanford Health, which enjoys a longstanding supportive relationship with the university and its athletic departments, secured the naming rights to the new facility. Earlier, Sanford Health had made a $20 million donation which launched the development of an arena; a science, health and research lab; and an outdoor track and soccer complex in 2012. Fortunately, Fiegen’s experience and expertise in unique construction—which focuses on increased flexibility and teamwork—helped at many stages as the project proceeded through a series of challenging construction phases. 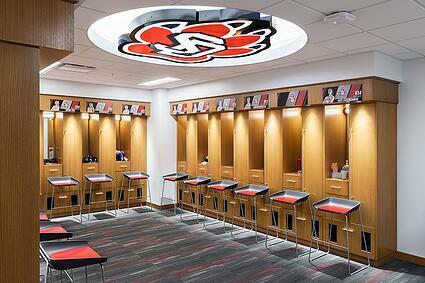 We’re proud of our work on this amazing new facility at USD—and delighted to have won the praise of university staff. That was music to our ears—which we are sure featured the USD marching band! How do things progress on a project of this size and scope? Have a look below at this time lapse video of the construction process. It's amazing!